All standard bass sets are LONG scale length (37" ball-end to silk i.e. string winding). I ordered a pack of La Bella flats and received them very fast once I started to string up my bass the E string snapped, within 24hrs Strings by Mail had a replacement pack sent out to me without no problems..very nice people, very helpful, I will definitely be using them again for all my mail order string needs. 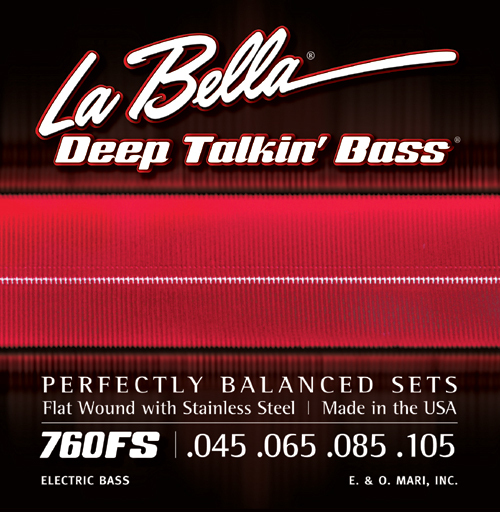 Q: There is a warning on the 760FS, "La Bella "Beatle" Bass Sets have a 34" wound length". According to La Bella and other retailers websites the 760FS should be a standard long scale set at 37". Is this warning a mistake? I don't see any Beatle bass sets listed in these gauges. Yes you are correct and we have updated our site. Sorry for the confusion.